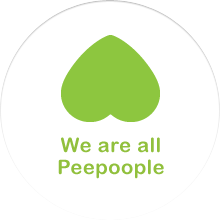 Peepoople was formed to develop, produce and distribute the Peepoo sanitation solution. The mission of Peepoople is that all people who so desire shall have access to dignified and hygienic sanitation. Peepoople was founded in Stockholm, Sweden in 2006. The Peepoople brand is since October 2016 owned by IAS (International Aid Services) which means IAS will continue the work that Peepoople has been doing since 2006 to develop the innovative Peepoo toilet as well as the supporting products and systems around it. You can find out more about our values and vision here. Peepoople started in 2005 by the founders are Anders Wilhelmson and Camilla Wirseen. Part of the founding team is also Dr. Annika Nordin, Dr. Björn Vinnerås, and Prof. Mikael Hedenqvist. Professor Anders Wilhelmson initiated the Peepoo concept in 2005. The research has been conducted in cooperation with SLU Swedish University of Agricultural Science and KTH Royal Institute of Technology. The graphic design concept has been developed together with Lowe Brindfors. Peepoople is committed to help solve the global sanitation crisis. In 2010 Professor Anders Wilhelmson was selected as the first Swedish Ashoka Fellow for Peepoople. 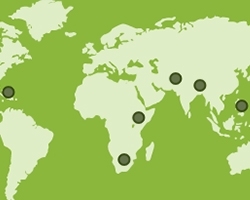 Ashoka: Innovators for the Public is a global nonprofit organisation supporting the field of social entrepreneurship. Read more at the Ashoka website. In June 2010 we registered Peepoople Kenya as an NGO in Kenya. Peepoople Kenya is the legal entity base for the ILP Nairobi, our first urban slum launch project in Kibera, and other Peepoople projects in Kenya. The office is located in Olimpic in Kibera Nairobi. Prof. Eric Odada, Member of United Nations Secretary-General‘s Advisory Board on Water and Sanitation.